But now we have enough square bales in the barn to last our sheep for the winter and all of the rolls are sold- which is nice because we have a little extra jingle in our pockets. Heading out into the field, Hubby in front with the baler and me behind with the rake. The large scary-looking spear on the front of the tractor makes me wish I had one on my car sometimes.... I have a feeling no one would pull out in front of me with that on there. That's hubby with the baler in action... and no, he's not on fire- that's dust. Even though it's hard work, the real reward comes in the dead of winter when I can take comfort in knowing I have plenty for the sheep to eat. You're a hard-workin' gal, my friend! We've lived out here in the country for 9 years already and I am just NOW learning how to drive our little yard tractor to mow the lawn! Love that picture of the darkening sky and the faint shadow that one cloud on the horizon sends straight up! Love watching people bale hay. Think it's so neat. East. TN is beautiful. We use to go from Asheville, by way of Murray Mountain, before the interstate went thru. Would always stop just across the state line and get water that was fed down thru a pipe to a little fountain by the road. Alwys looked forward to that. I love those little towns like Unicoi and Flag Pond. Yes, I could live in TN! Country girl! Gotta do what we gotta do! But this heat is horrible, huh? "They" say it's going to rain Wednesday and Thursday...if it doesn't, I may be doing a rain dance soon! great post!! Sorry you had to to do so in such horrible heat! Sweet, sweet picture of your lambs in the snow! 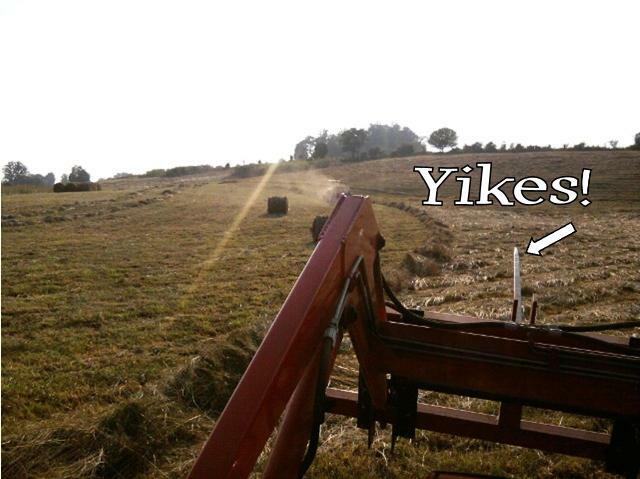 our field should have been done a couple of weeks ago, but the neighbor's hay guy had some equipment breakdowns. now it's getting a bit crisp so i'm not sure how much they'll get out of it yet! we've not had any rain lately and super-hot temps. 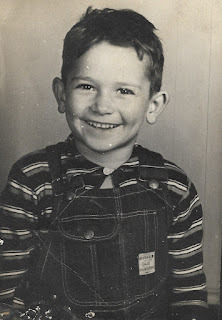 I am glad to hear that you will have enough hay to feed your little darlings this winter. Great shots! 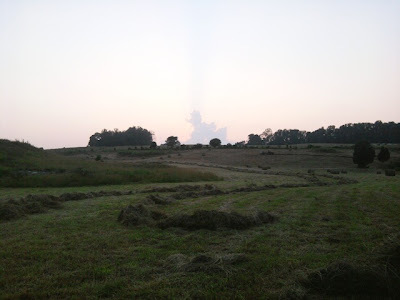 Our hay fields are just about ready to be mowed in these parts. What are y'all getting for rounds up there? It IS lots of hard work but SO worth it! Beautiful pictures. I would love to be doing this! But, I understand the heat, we're in a drought - have officially had less than 1" of rain in the last four months here in the Houston, Texas area. Triple digit day expected today. So, it's not fun to be doing such labor in the heat. But, you two make a great team. Hay baling is dusty work but it's so good to have the groceries in the barn! Thanks for the cool picture at the end...I think I'm gonna put a snowy picture on my backgroud to give me cool thoughts. You guys work hard to make everything on your farm shine. I love your attitude of preparedness, and wanting to be ready for the winter. Sometimes there are those chores that need to be done that are hot, dirty, and not too fun.... but your hard work is obviously paying off! Now that's my kind of life!! 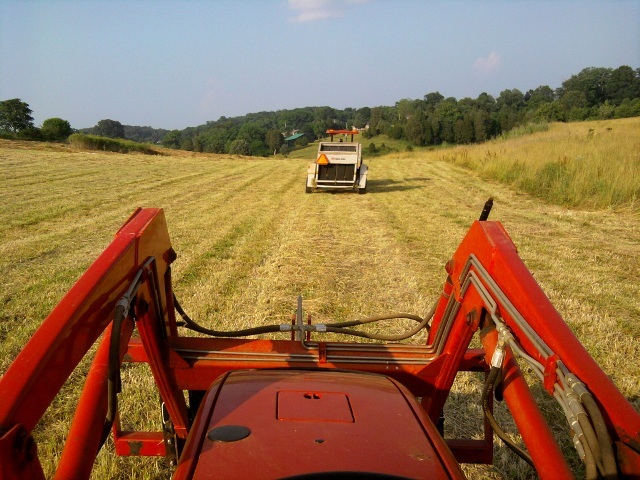 We're just about finished with the first cutting and most of it is hauled. You are so much younger than me; I started raking for my husband years ago and this year I was 70 when we went to the field. So I'm always thinking I should praise God for health and sound mind to still work. Isn't it wonderful to be able to work together? You are very wise to grow your own hay! It does get expensive and it is hard to get during the winter when you are running low. Been there done that, raking was always my job and yes I have turned to tightly and rolled that rake right up on the big tractor tire a time or two,luckily didn't break anything !! Glad you got all your hay in the barn. Fabulous! Almost nothing satisfied like dry hay, waiting for winter and feeding the animals. Great Pictures! Hard work, great rewards! The picture of winter instantly made me feel cooler. We are hitting 101 as I type so cool thoughts are better than nothing. You guys are hard workers! Hay baling is hard work and especially in the heat.. Hope you were able to get it up before the rain?? It takes a lot of talent to do all that hard work but it must be so satisfactory when it is over.. Thanks for dropping by, dear..
How cool, we would love to run in those fields. Honey, you are a goddess for James. You are a truly awesome farm wife. I cannot believe all the things you do. Mike and I have an agreement. He works outside. I work inside. There is no way I could bale hay. No way. But I do love those square bales. They just look right to me. How is your garden doing? Did you get a tomato in? Are the bees working? How is Lily handling the heat? 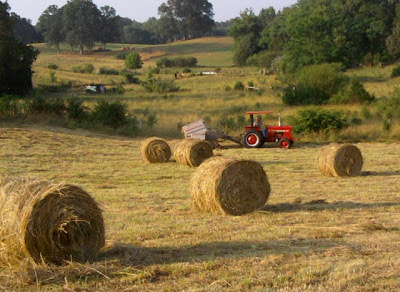 Hi Paula, Hay gathering is one of my favorite things to do here on the farm. I am always a little anxious until hay baling season is over, we have had some dry years where we thought there was not going to be enough for our animals, But God was so faithful. Thank you for your visit, and for taking the time to leave me such a sweet note. You guys have been busy! Love farm pics! This reminds me of something my uncle told me once....Of course I thought he was being serious and he says (when we pass a field with the round bales of hay)....you know they outlawed those. I said, why? He said because the animals were getting square meals! lol! Have a great summer, Paula! Loved to see your pictures!!! And you did a fantastic job explainin and showing! 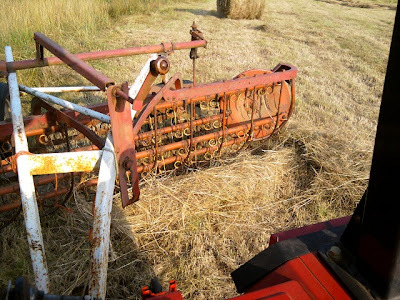 I hope you had the chance to come over and read my tractor disaster post about raking hay??? I think you would like it! 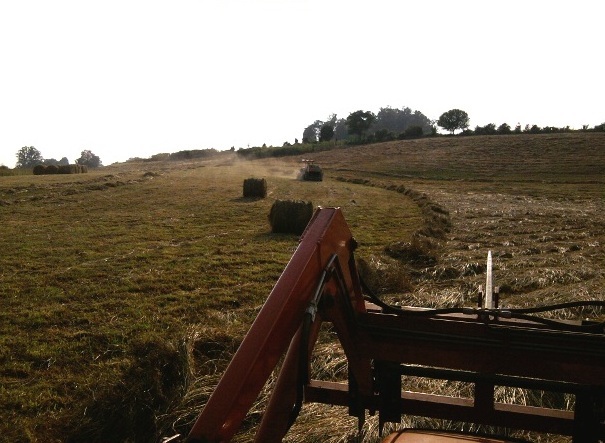 Yep, it's hayin' time around here too. Love to see all the bales laying in the fields. Especially when I have to buy some for my donkeys in the winter!! And in-between. At $40 a bale. Hope you get lots of jingle in your pockets! I am grateful for people like you who do the work....:) Oh, we are in our 3rd of 4th week of mid 90's and no end in sight. :( Take care and God bless. 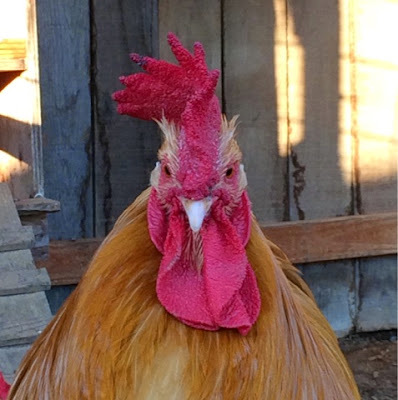 I love visiting the Fraker Farm. All that hay for so many mouths to feed! Great pictures, Paula. I miss our goats, but don't miss working in hay. LOL It is always hot when the hay is ready and so itchy. Glad you have your winter hay supply put up. Just starting haying here, too... so satisfying to see it put up. We're investing in a bunch this year, so we don't have any worries this winter and next spring.